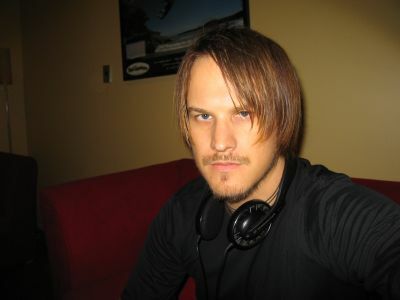 the first thing i did when i got to new zealand was get the first proper haircut and shave of my trip, 15 months into it. while writing in the library of the hostel, i decided to snap a shot of the results. this is in auckland, new zealand, at the top of the north island. 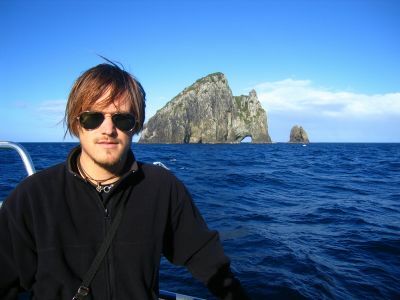 i didn't know anyone when i arrived in auckland, but that's why i stay in hostels. two days after that last picture, i was traveling the country with 3 other backpackers. 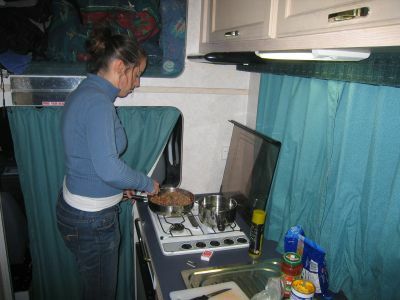 kerry from scotland is pictured here whipping up dinner in the campervan which we parked at a rest stop for the night. 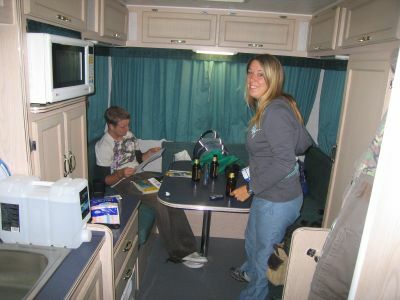 my other two companions, sharon and paul, both from england, chilling out in our four person campervan. we explored the north island of new zealand in it together for 10 days. 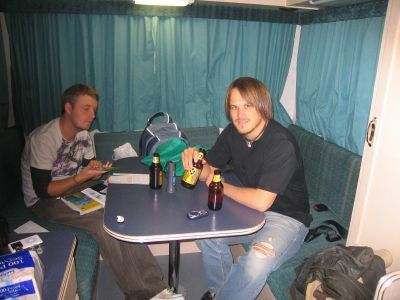 paul and i would talk and drink beer while the girls prepared dinner each night. does it get better than that? that's an export gold in my hand - great new zealand brew. our first stop was the bay of islands, all the way at the top of new zealand. 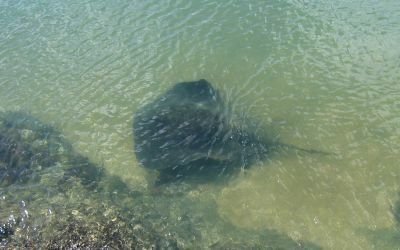 we were walking to the boat that would take us around the islands when i spotted a manta ray flying through the water just offshore. the thing was absolutely huge. i would say it was about 5 feet (1.5 meters) wide. 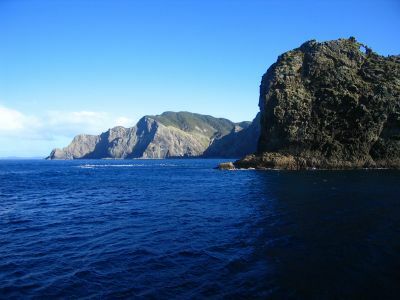 the bay of islands is a group of rocky, grassy islands in the south pacific ocean, off the northeastern coast of the north island. our boat was heading for the hole-in-the-rock (behind me) which our captain would eventually drive the boat through. 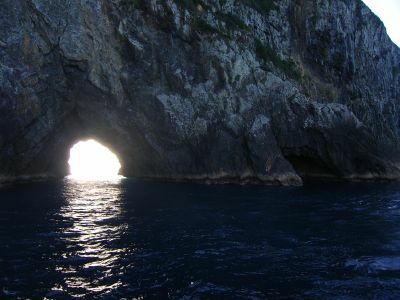 i snapped this shot just after the boat passed through the hole. our 23 year old maori (indigenous people of new zealand) captain came out on deck after successfully negotiating the boat through after several attempts and admitted that he was scared. the sea was tossing us back and forth as he squeezed the large boat through the tiny gap. 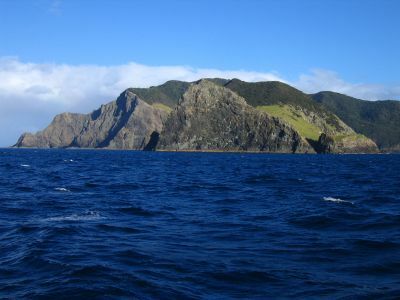 some more of the islands in the bay. pictures never really capture scenery properly, do they? this was a magnificent place which the pictures don't quite capture.